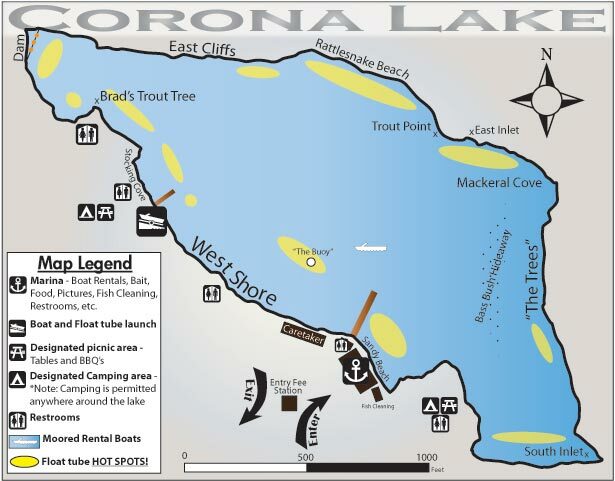 Corona Lake Remains Closed for Fishing. The Lake is full, but due to operational and environmental restrictions beyond our control, it’s not likely that Corona Lake will reopen for fishing anytime soon. Thank you for all your support.. The GOOD NEWS is we will be stocking EVEN MORE TROUT OR CATFISH at Santa Ana River Lakes. Thank you for your continued support and please help us pray for rain! !